A newly published study in Urologic Oncology has reported data from a survey carried out by researchers at the National Cancer Institute into “the current practice patterns and views among urologists regarding focal therapy for prostate cancer”. Only 103/425 respondents (24.2 percent) currently utilize focal therapy in their practice. Fellowship-trained subspecialists in urologic oncology were more likely to believe that focal therapy is at least moderately beneficial (P < 0.001). Surgeon’s experience and seeing more than 10 newly diagnosed prostate cancer patients per month were independent predictors of utilization of focal therapy for localized prostate cancer. The most common use of focal therapy was in patients with unilateral, intermediate-risk prostate cancer (72.8 percent). Respondents also used focal therapy for patients with unilateral, high-risk prostate cancer (21.4 percent) and bilateral, intermediate-risk prostate cancer (10.7 percent). High cost of investment in training and equipment (21.8 percent). About 57.6 percent of respondents indicated that they would use focal therapy more often in an office or outpatient setting if they had access to reliable and cost-effective options. These data would seem to suggest that there has been a slow but significant increase in interest in the use of focal therapy in the treatment of localized prostate cancer among a subset of urologists. 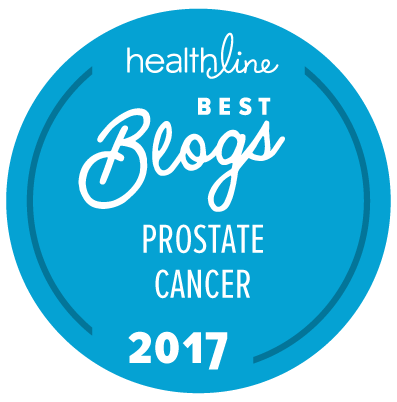 What remains unclear, however, because we have so few long-term follow-up data, is just how safe and effective focal therapy is over time and exactly which patients really gain appropriate benefit from this type of treatment for localized prostate cancer. We should note that 425 responses to a questionnaire like this is a relatively high response rate, but it is only a small percentage of the full, combined membership of the American Urological Association and of the Endourological Society. It may well be that the responses came from a definable subset of members of the two societies who have either a highly positive or a highly negative attitude to focal therapy and its use in prostate cancer treatment. I had focal cryotherapy about 9 years ago for small amounts of Gleason 6 cancer. After the procedure, I still had small amounts of Gleason 6 cancer. I’ve been on active surveillance since then, and (apparently) still have small amounts of Gleason 6 cancer. I’ve watched my PSA gradually rise from 3.something to about 5.something — not a cause for concern. Over the last 9 years, it seems like focal therapy is starting to make more sense to practitioners as they come around to the thinking of the more progressive thinkers in the community like Larry Klotz. Hello Steve. Happy New Year! One of the most important questions in determining the value of focal therapy is how to decide who really needs such treatment. You appear (at least potentially) to be a classic case of someone who may never have needed treatment at all — although of course this is unprovable. One has to wonder whether focal therapy is best applied only to patients with a rising PSA while on active surveillance or to patients with low-risk prostate cancer who simply cannot cope with the idea of living on active surveillance at all. The use of focal therapy in men with any amount of Gleason pattern 4 disease is going to remain controversial for quite a while. At present we still have no good way to determine whether all Gleason pattern 4 cancer has been eliminated in a man undergoing focal therapy … and so such men are always going to be at potentially high risk for metastatic disease (until we can find a way to be sure whether Gleason pattern 4 prostate cancer has been eliminated by local therapy — focal or otherwise).